My favourites so far include Blogger, Instagram and Kik. Strangely, Temple Run was already an app that was downloaded onto my tablet when I first got it... Oh boy am I addicted? guys, seriously my addiction just keeps reaching new levels. I rush to get ready on college mornings just so I can spend an hour playing it before I leave and when I go to bed I spend too many hours on it and end up drifting asleep in college, oops! I also went a little crazy and got myself three new cases. I can definitely tell that for birthdays and things all I'll be asking for is new cases, haha! 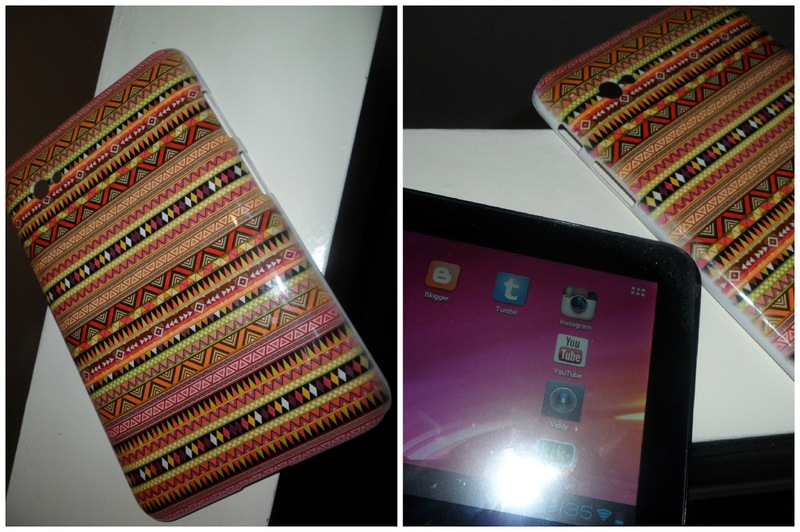 I wanted a rather funky case and thought I couldn't get anything better than an aztec one. I love the design of the case and it's so simple to put on. It was only £5.95 with free post and packaging. The eBay seller has loads of cases, If you're looking for one then I definitely recommend buying from them! I think this is my favourite case out of all three that I ordered. Not only is it a case but when you open it up you see that there's actually a keyboard that you connect to your tablet and then instead of actually using it as a touch screen you can type. I find it so much easier to use the keyboard but constantly keep looking for the non-existent mouse haha. Also, when it's closed it looks like a little clutch bag... It reminds me of something Carrie Bradshaw would carry around with her. Plus, it's also a stand too. It was only £10.99 and anyone in the UK can get free delivery on it with super saver delivery. Lastly, I got this case from Amazon as well. It was the cheapest at only £3.99 but with an added £4.59 for UK delivery which even though could seem a little pricey.. You'll literally fall in love with it. The pattern is absolutely adorable and I'm so considering getting the other polka dot cases too. 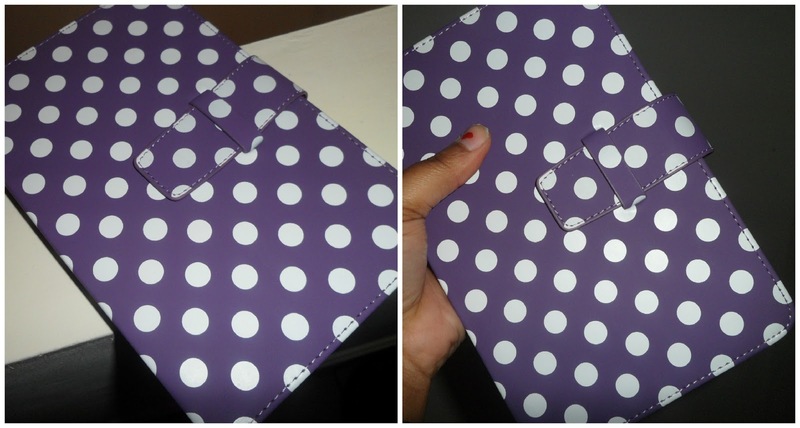 What do you think of my cases + tablet? 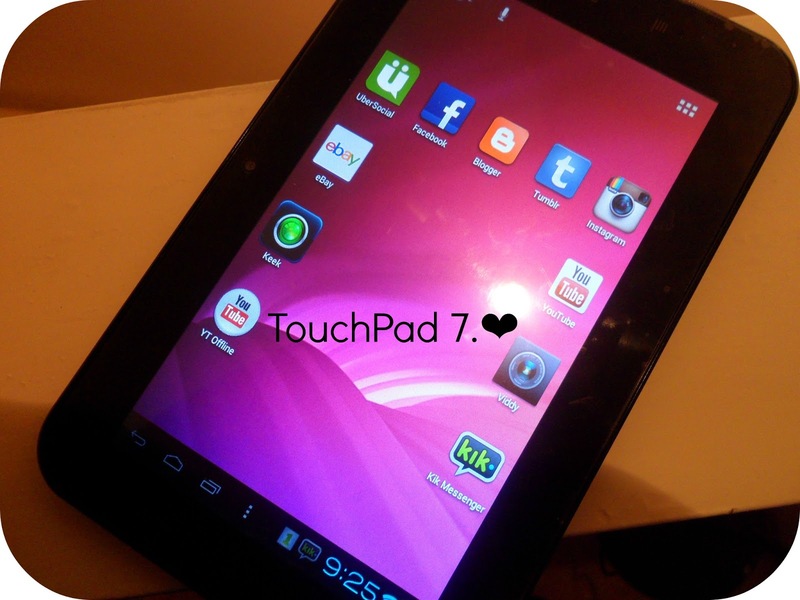 do you have a tablet/can you recommend me any other good 7 inch tablet cases & apps? Just found your blog and I'm obsessed with your header, so cute! 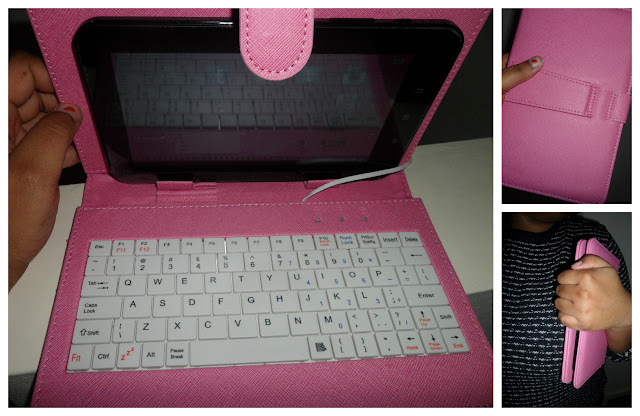 I love the pink case, its cute!!! Thank you lovely! :) definitely my favourite case, eee!